UPDATED: Fri., March 31, 2017, 10:09 p.m. The Spokane Valley woman, who had for years paid her monthly insurance premiums on time, ended up locking horns with her own insurance company, Allstate, after it low-balled the payouts for a crash that Fortson-Kemmerer didn’t cause. In a legal fight that already has lasted 11 years, Fortson-Kemmerer learned this week that the battle begins anew after the Division III Court of Appeals reversed a lower court’s dismissal and will allow her lawsuit to proceed. The decision is a precedent-setting ruling that is expected to make it easier for clients to go after insurance companies that unfairly deny claims. It means that if she prevails in her case, a judge or jury could force Allstate to pay all of her legal fees and up to three times the cost of all medical bills and damage to her van. 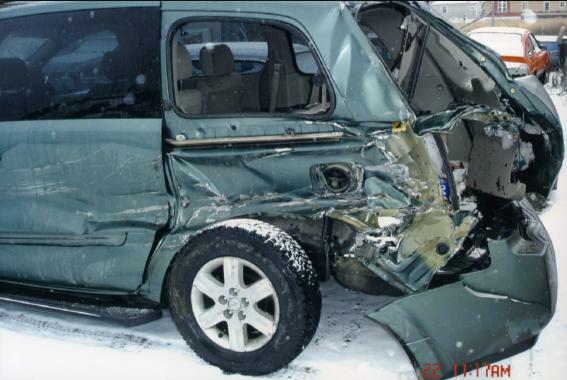 The decadelong legal mess started on Dec. 21, 2006, when a man driving a flatbed truck ran a red light and slammed into her 2004 Nissan Quest minivan at the intersection of Sprague Avenue and Thierman Road in Spokane Valley, according to court records. The crash damaged the minivan and caused a neck injury that required eight months of therapy and resulted in chronic pain, according to records. But the driver of the truck, who ran the red light, fled the scene before law enforcement arrived. As part of her insurance with Allstate, Fortson-Kemmerer had a provision that covered her in case of an underinsured driver, or in this case, a driver who fled and was presumed to be uninsured. She hired attorney Brandon Casey in 2007 and they submitted a request for $75,000 to cover medical bills and the extensive damage to her van. Allstate’s counteroffer was $9,978, which Fortson-Kemmerer rejected, according to court records. The insurance company then requested and obtained Fortson-Kemmerer’s medical examination records. After receiving the medical review, Allstate on April 1, 2010, again offered to pay $9,978. Maureen Falecki, who along with Irene Hecht represented Allstate in the appeal for the Seattle law firm Keller Rohrback LLP, said on Thursday that she had not yet read the appeals court decision and declined to comment. After months of obscure monthly notices claiming her case remained under investigation, Fortson-Kemmerer and Casey filed a lawsuit on May 18, 2011, seeking to force Allstate to both pay what she believed she was owed along with possible damages under the Insurance Fair Conduct Act. The case went to mandatory arbitration in 2012, and Fortson-Kemmerer was awarded $44,151. But a few days later, Allstate informed her that they would appeal that arbitration finding unless she accepted $25,000, according to court records. Allstate finally paid the $44,151, but Casey said it took a special kind of client to continue the case after most of the payout went to pay attorneys’ fees. But Fortson-Kemmerer wanted to continue to pursue the lawsuit under the IFCA. That law was passed by about 57 percent of Washington voters as part of a referendum in 2007. According to published reports, the insurance industry raised more than $9 million to unsuccessfully fight the measure and warned that it would cause residents to pay $650 million more through higher premiums. Despite its passage, lawsuits filed under the new law mostly were being directed to federal court and they became difficult to fight because they were becoming lumped together as part of the same legal argument, Casey said. In many cases, attorneys fighting insurance companies were forced to both seek payment on claims for the crash and somehow show the insurance company was dealing with the case unfairly at the same time, he said. Federal judges had been dismissing most of the unfair practice lawsuits as soon as insurance companies forked over money for the damages claim, he said. But for the first time, under the new ruling this week, judges will now be asked to consider two legal questions: What does the company owe the client, and should it also pay damages for unfairly trying to skirt those payments? Fortson-Kemmerer, 41, said she knows that she may end up losing her lawsuit, which now returns back to Spokane Superior Court. But she’s taken the case this far and is willing to take it just a little further. Published: March 31, 2017, 5:58 p.m. Updated: March 31, 2017, 10:09 p.m.